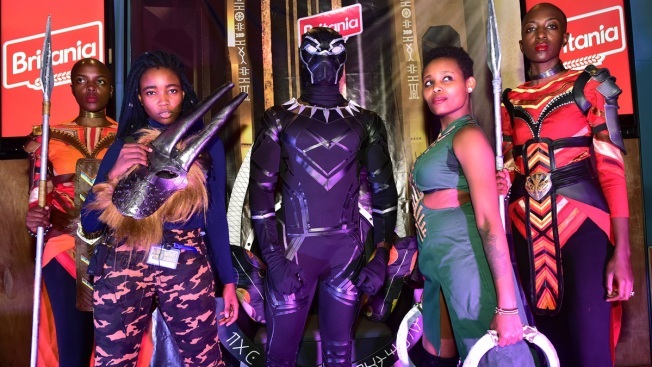 Cosplayers portraying characters from the 2018 US superhero film based on the Marvel Comics character, 'The Black Panther' pose in the Kenyan capital, Nairobi on February 14, 2018. "Black Panther" has burst onto the screen in Africa, handing a powerful response to the unfortunate remarks about the continent by President Donald Trump. The South African actor Kani, like many at Friday night's Johannesburg premiere, expressed pride at seeing an Afrofuturistic society that celebrates traditional cultures and dreams of what the world's second most populous continent can be. "This time the sun now is shining on Africa," he said. "This movie came at the right time. We're struggling to find leaders that are exemplary and role models ... so when you see the Black Panther as a young boy and he takes off that mask you think, 'Oh my God, he looks like me. He is African and I am African. Now we can look up to some person who is African.'" Added actress Danai Gurira, who grew up mostly in Zimbabwe: "To bring this film home is everything." "The African culture highlighted in the movie is so rich that it makes me feel proud of being black. I totally love it," said Liz Muthoni after a screening in Kenya's capital, Nairobi. "I can watch it again and again." "Black Panther" screened a few days ago in Kenya's western city of Kisumu, where Nyong'o's father, Anyang, is the local governor. "Sometimes we think that we have two choices to make in Africa," he wrote this month in The Star newspaper. "Choice one: We maintain our traditions and cultures and stay backward forever. Choice two: We modernize by becoming westernized and forgetting our cultural traditions which, by their very nature so we think, are stuck in the past. The experience of the Wakanda people teaches us otherwise." In Ethiopia's capital, Addis Ababa, "Black Panther" has been selling out its five-times-a-day screenings at the only theater showing the film. "Moviegoers are enjoying the African heritage part of the film. This is also unique for us because Ethiopia is often mentioned alongside the black power and black movements as the only nation not colonized by Western powers," said Elias Abraha, the cinema's operations chief. "There are people who changed their flight plans just to watch the movie." "Tears stream down my face as I write this," said one Facebook user who goes by LadyRock Maranatha. 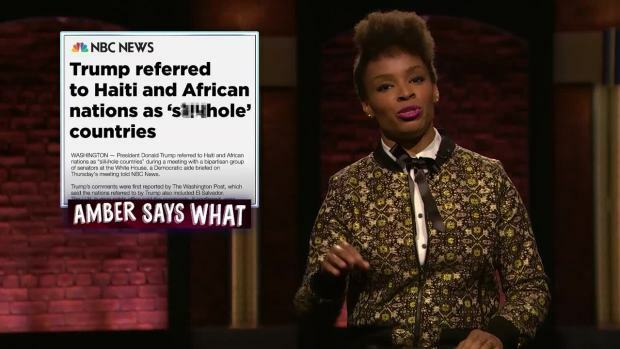 "Black Panther was basically an enormous . roller coaster of emotions, adventure and most of all the affirmation of what I had felt since I left my country for Cambridge and came back. I cried for my people and felt immense pride in being Ethiopian and most importantly AFRICAN. We are truly resilient and beautiful." "Totally blown away. I got emotional," said reality TV star Blue Mbombo, who admitted that going into the film she thought the expectations had been "hype." But she praised its use of cultural touches like Basotho blankets and called the use of the isiXhosa language "very humbling." Others considered the American side of the story. "An African-American coming back to Africa, it's a nice reminder of their heritage as well," said Ayanda Sidzatane. She called the film awesome. "We knew it would be cool but not like this." As Ghanaian celebrity blogger Ameyaw Debrah put it on social media: "What will #BlackPanther make the world think of Africa now?" Associated Press writers Elias Meseret, Tom Odula and videographer Graham Walsh contributed.